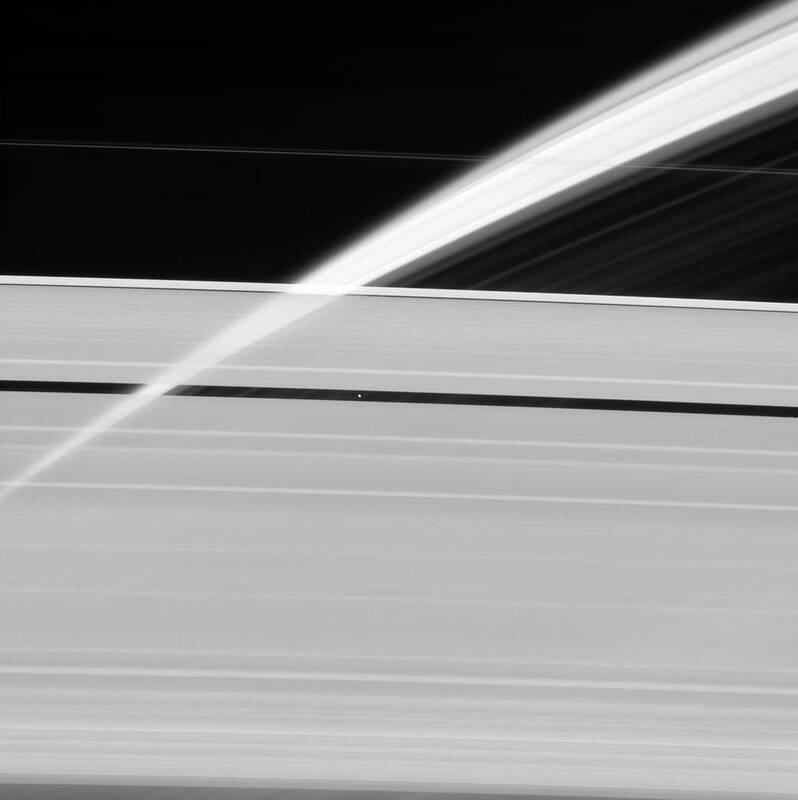 No other planet in our solar system has rings as splendid as Saturn’s. They are so expansive and bright that they were discovered as soon as humans began pointing telescopes at the night sky. Galileo Galilei was the first person known to view the heavens through a telescope. He secured his status as an astronomical collosus when he discovered Jupiter’s four largest moons in 1610. Saturn is nearly twice as far from the sun as Jupiter, and yet Saturn’s rings are so big and brilliant that Galileo discovered them the same year he spotted Jupiter’s moons. The sound of Saturn's rings as recorded by NASA Voyager.